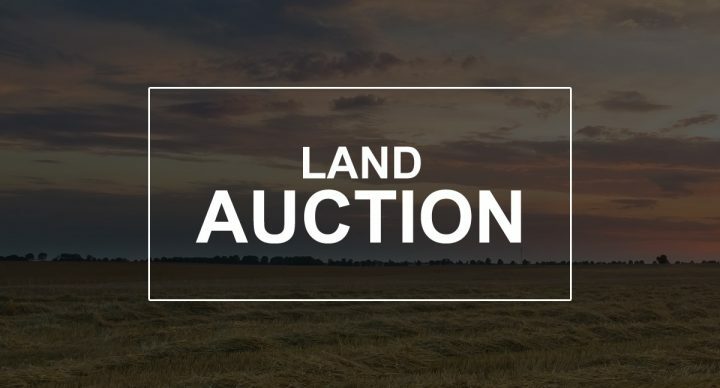 We will offer the following real property at auction at the land located from the Flandreau, SD Exit #114 on I-29 – 1½ miles west, 2 miles north on 471st Ave./Co. Hwy. #77, 2 miles west on 228th St. and 2 miles north on 469th Ave. to the NW Corner of the Land at the Jct. of 226th St. & 469th Ave.; from Colman, SD (Main St. & Hwy. #34) – 2 miles north, ¾ mile west on 233rd and 6 ½ miles north to the SW corner of the land; from Brookings, SD – approx. 11 miles south on I-29 to the Ward-Nunda Exit #121 – 1½ miles west on 223rd St., 3 miles south on Co. Hwy. #77 (471st Ave.) and 1 ½ miles west on 226th St. to the NE Corner of the land. This auction presents a great opportunity to purchase a productive parcel Moody County SD Land that has been in the Specht/Stratmeyer family for 100 years with ownership dating back to 1918. This is farm that has a mixture of productive cropland with drain tile installed, along with some areas that may provide a haven for deer, pheasants and other wildlife, thus this property affords a combination of income, hunting and recreational opportunities, uncommonly found on one parcel of land. According to FSA information this +/-160 acre farm has approx. 145.24 acres of total cropland, which subsequent to the CRP reduction has approx. 141.43 acres of effective cropland, with an FSA 69.50 acre corn base with a 137 bu. PLC yield and a 67.90 acre soybean base with a 39 bu. PLC yield, with this farm enrolled under the ARC County election of the USDA farm program. Additionally, this farm has approx. 1.5 acres enrolled in the CRP program at a rate of $200.32 per acre generating a total annual payment of $300.00 per year. The remaining nontillable portions of this farm are comprised of an area with some mature trees, grassland, waterway/drainage, lowland and roads – most of non-tillable land lies in the NE Corner of the farm adjacent to the CRP acres. According to the Moody Co. Assessor this parcel has an Overall Soil Rating of .793, similarly info. obtained from Surety Agri Data, Inc. indicates that this farm has an overall productivity index of 79.8. This property has a gently rolling to rolling topography, with some low lying areas in the lowland and drainage areas. There has been a significant amount of drain tile that has been installed in this land at two different times by both Johnson Trenching of Russell, MN in 2008 and additional by Reed Intermill in 2016. The 2017 RE taxes payable in 2018 on this property were $4,365.90. This land is located in Jefferson Township, a highly regarded agricultural and recreational/hunting area of Moody County, SD and this is a farm that could serve as an excellent addition to an area row crop farming operation and/or investment property, complemented by some excellent hunting and recreational amenities. LEGAL DESC. : The NW¼ of Sec. 3, T. 107N. R. 50W., (Jefferson Twp. ), Moody Co., SD. TERMS: Cash – A 10% nonrefundable earnest money payment sale day & balance on or before Jan. 10, 2019, although not prior to Jan 1, 2019. A Warranty Deed will be conveyed and owner’s title insurance provided with the cost divided 50-50 between the buyer and seller. Full possession for the 2019 crop year, subject to the rights of the existing tenant under the current lease and their rights to harvest the 2018 crops. All of the 2018 RE taxes payable in 2019 will be paid by the seller. This property will be sold based on the acres stated on the county tax records, with acres understood to be more or less. The seller does not warranty or guarantee that existing fences lie on the true & correct boundary and new fencing, if any, will be the responsibility of the purchaser pursuant to SD law. FSA yields, bases, payments or other info. is estimated and subject to County Committee approval. Information contained herein is deemed to be correct but is not guaranteed. This property is sold subject to existing easements, restrictions, reservations or highways of record, if any, and subject to Moody Co. Zoning Ordinances. The RE licensees in this transaction stipulate that they are acting as agents for the seller. Sold subject to confirmation of the owner. For additional information contact the auctioneers. 226th St. & 469th Ave.